For web and graphic designers getting the web images ready to be worked on inside Photoshop is time taking process especially for transparent PNG images. You need to save the image and then switch to the download folder and send the image to Photoshop via operating system context menus. But Open With Photoshop is the new innovative tool that combines the powers of Photoshop and Firefox to solve the problem in smart and easy way. 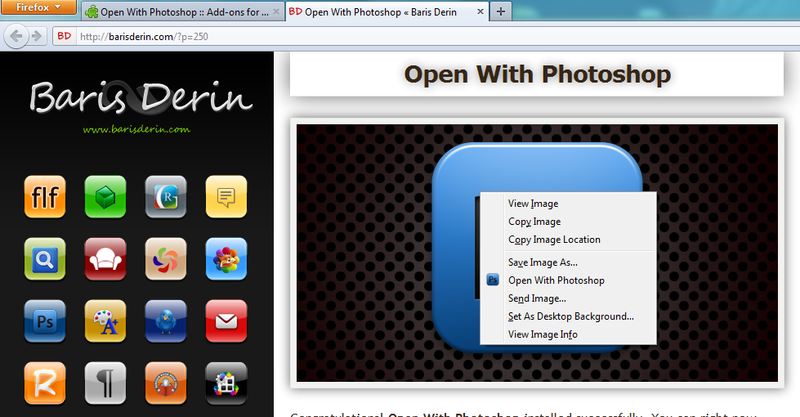 With Open With Photoshop you can right click on any web image inside a web page and choose Open With Photoshop option from context menu to send the very image to the Adobe Photoshop. If the Photoshop is not in open state the add-on will start up the Photoshop automatically and will place the image inside the Photoshop when Photoshop is ready. If Photoshop is already open, Open With Photoshop will simply add the image in a new Photoshop window in lightning fast. 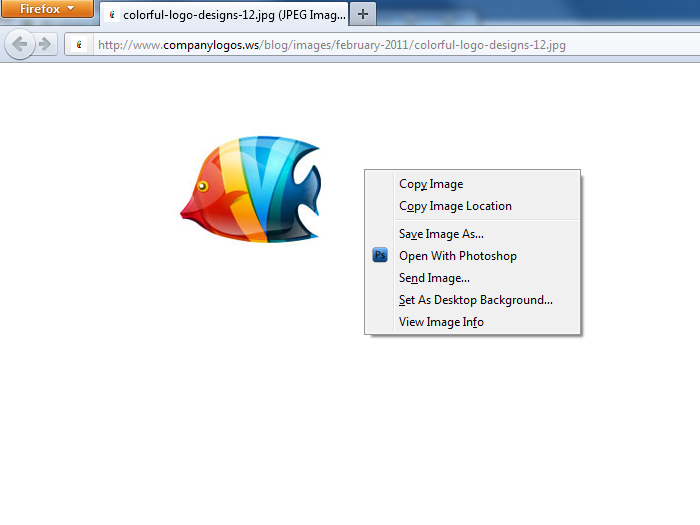 Open With Photoshop usage is that simple and it is great time saver for web and graphic designers. And it solves the common black background transparency issue of transparent PNG images. Open With Photoshop is compatible with CS2, CS3, CS4 and CS5 versions of Photoshop on both Mac OS X and Windows operating systems. I would love to see this on Google Chrome, any chance you’d consider porting this to it? nice ^^ And, anybody have a plug for chrome like that ? But, after I started PS and THEN tried to use it, it works beautifully! So, I will encourage you to continue development! Very handy tool, and a good idea! May you do well! Thanks for this. Would be great to have a version that opened files in Fireworks, too. Gracias a Diego Mattei por difundir la información de este plugin, ya que nos puede ser de mucha utilidad. Unfortunately it does not work with ‘Portable’ versions of Photoshop. 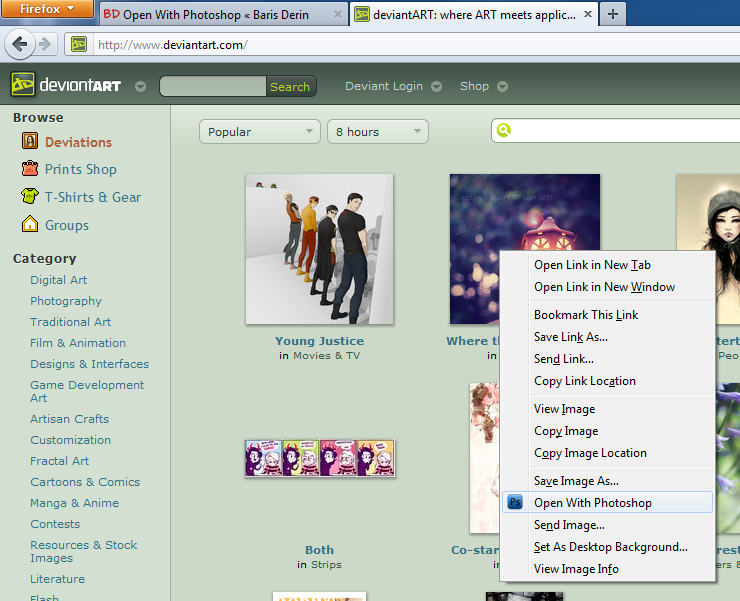 As suggestion, you could create an Options page that we can set up the photoshop .exe’s path. 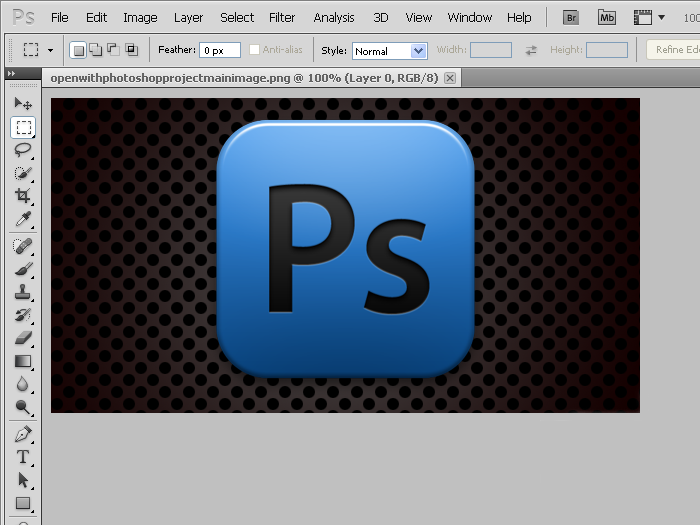 Hi, seems to be great tool for people using Ps – even older versions. But you know there are people who can´t afford the CS version or don´t whant to spend that much money on features they won´t ever use – so there are people like me out there using Ps Elements (V. 9 in my case). Would be great if you could adapt it to this too. Chrome extension would be awesome!!! Google Chrome support would be very nice! 2) decide which folder will be used to store the images or, in alternative, the ability to empty that folder automatically. Thank you for the ‘open with Photoshop’ add-on!! It has become one of my favorite time saving tools! I am a web designer and there are so many times throughout my day that this add-on comes in handy and I like that I can click and go (giving Adobe the 5 minutes or so that it takes to actually load Photoshop) and carry on with my business until the photo is uploaded and ready! I have just added ‘Reader’ today and will be testing it this evening.